Because litigation is so expensive, the alternatives of arbitration and mediation are growing more common. Arbitration is when the opposing parties agree to submit their dispute to a neutral third party who will make a decision that will be binding upon both sides. 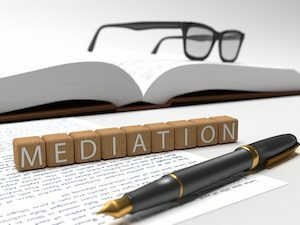 Mediation is when the parties agree to meet in an effort to settle their dispute with a third party, who seeks to guide the parties to a mutually agreeable settlement. Arbitration is particularly common in Maricopa County, because the rules for the Local Superior Court require that all claims for less than $50,000 be subject to compulsory arbitration, with an optional appeal to a jury trial after the arbitration is completed. 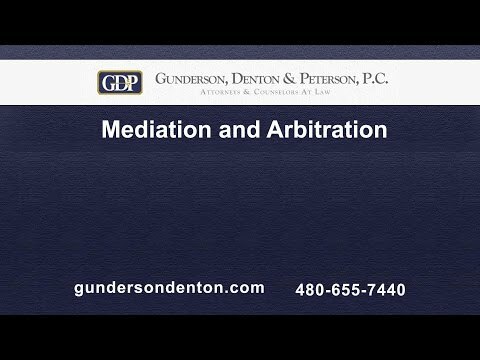 Gunderson, Denton & Peterson represents clients in both arbitrations and mediations. All of the firm’s partners act as arbitrators and participate as counsel for plaintiffs and defendants in arbitration proceedings. Our Arizona litigation lawyers also represent clients in many mediations. We are careful to define our client’s goals before going to mediation, so that we can work toward a successful resolution of the case. Not all cases are suitable for mediation or arbitration. We can advise you as to whether participation in a mediation or arbitration is advisable in your particular case, always considering your long-term goals. Because alternative dispute resolution, such as arbitration and mediation, can often resolve difficult disputes at a cost far less than the cost of litigation, it is often important that provisions for this type of dispute resolution be included in estate planning and business planning documents. Our attorneys are experienced in drafting effective alternative dispute resolution provisions in these types of documents. To learn more about alternative dispute resolution provisions in estate and business planning documents, contact our law firm.